5) logged out and then logged back in. 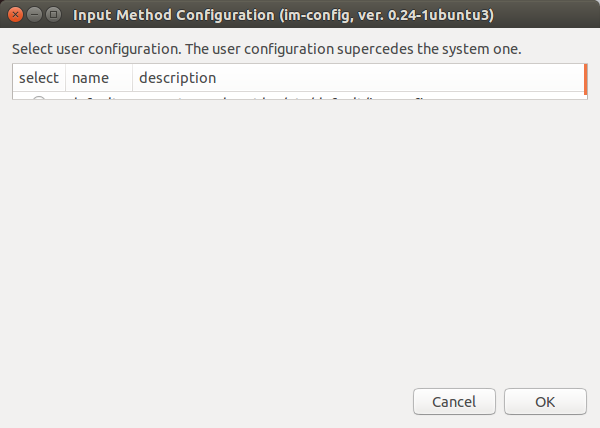 *"Explicit selection is not required to enable the automatic configuration if the active one is default/auto/cjkv/missing. Available input methods: ibus xim. Unless you really need them all, please make sure to install only one input method tool." Not very helpful advice to a regular user. **I can't repeat the final step right now: the view where I changed "ibus" into "none" yesterday is broken today (a screenshot is attached).